Worker TWO has been a best selling since its launch and I received so many requests for a smaller version of it, so here it is, the Worker THREE. It has the same shape, it’s really like a shrinked version of the Worker Two with similar density but it will be able to accomodate smaller eyes or help those of you who wished for more precision. Duplicating a brush in another size is not as easy and straightforward as changing a setting on a machine, it takes a bit of study and very fine tweaking until the same experience and functionality is reached. I am really happy with the outcome, it’s an amazing versatile little brush and it kept all the DNA from its big sister the Worker Two. 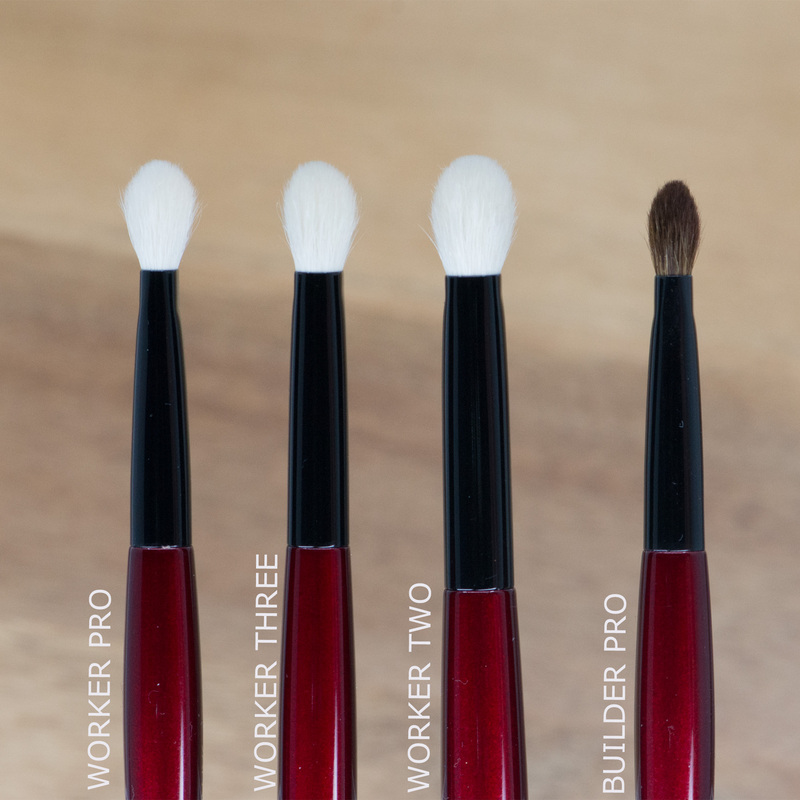 If you are not familiar with the Workers, these are brushes that can laydown, work in the crease, the transition, blend and basically be at easy everywhere. As a shader, pick the product either with the tip of the brush or the sides based on the precision you require, tap off excess, pat, swipe or use back and forth strokes to apply. 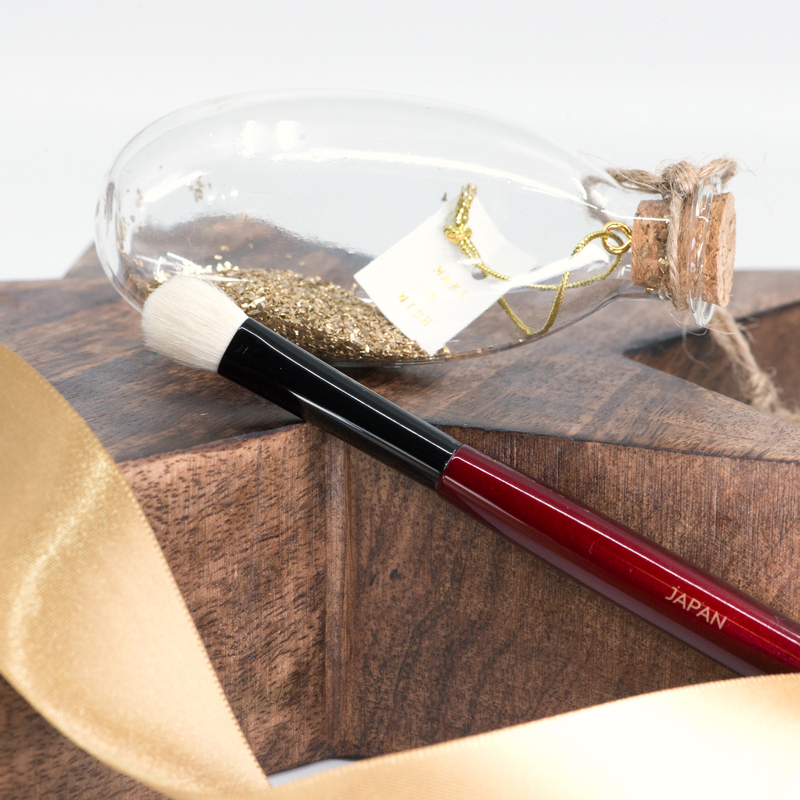 As a crease brush, start in the outer crease and use back and forth motions to apply, extend the length of the movement towards the inner corner as the intensity of the product decreases. Hold it an angle if you want to target blending or application to the upper or lower crease area. As a blender use either circular or back and forth motions, you don’t need to put a lot of pressure on the brush to get the job done. 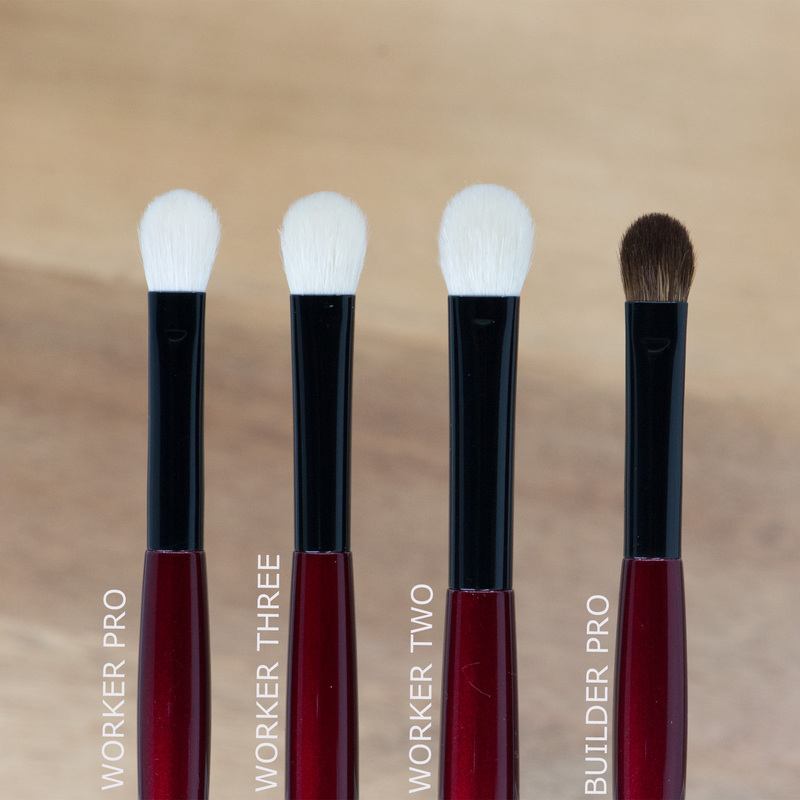 Compared to the Worker Three, the Worker Pro is firmer and more tightly packed so it will deliver an even more precise application and will allow more control on the application and blending. Both the Worker Two and the Pro are able to work with mattes, shimmers and metallics, the Worker Pro will reach full opacity faster. 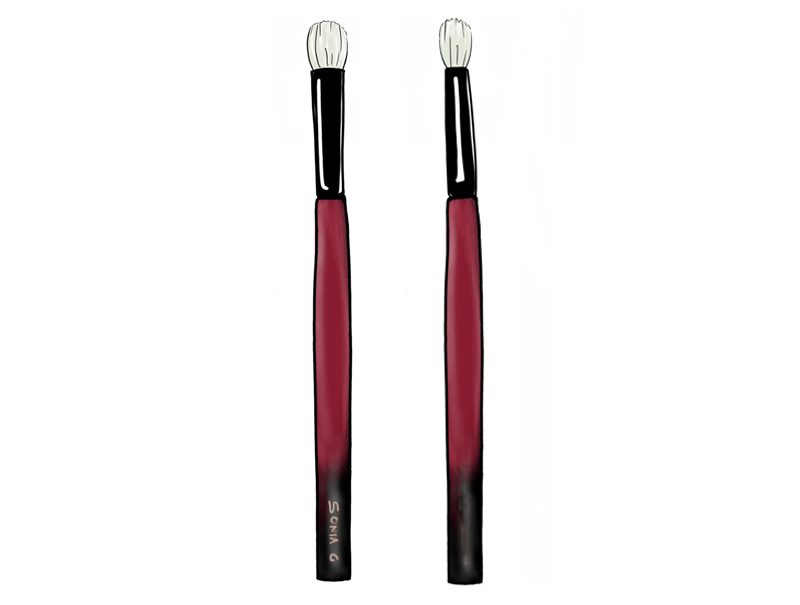 The Worker Three is more foolproof, allowing a more gradual and buildable application and because its ferrule is thicker at the base, it feels softer on the lids, still strong but the bristles are more airy and move with more flexibility.